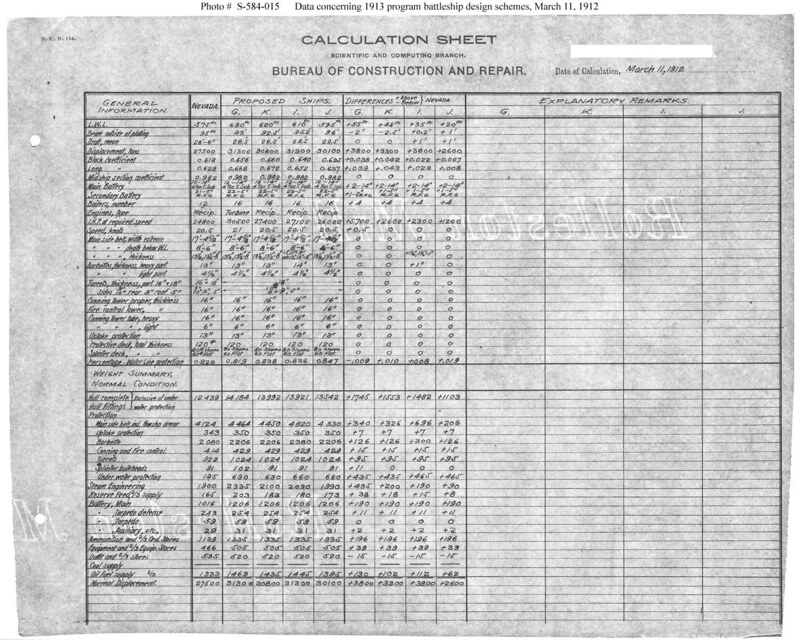 Data tables permitting comparison of the features of four alternative preliminary designs that had been prepared to support Navy Department deliberations over the design for the next battleship, to be funded in Fiscal Year 1913. 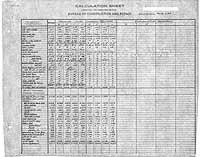 These tables display characteristics for each of the four preliminary designs, compared with those approved for the preceding Nevada (Battleship # 36) class (see Photo # S-584-009). The tables also include comparative weights in tons for each of the five designs, divided among 17 categories, including hull, armament, propulsion machinery, and so forth, as shown. Comparison of weights illustrates, in aggregate, how the various schemes shifted priorities among characteristics in an effort to provide the best overall mix of capabilities.